We were able to experience some very exciting themes during April in Level 2A! We started the month learning about birds and reptiles. We went over the similarities and differences between them, where to find them, and the physical characteristics and actions that are unique to both. During ocean animals week, students learned all about many different animals that call the ocean their home! They learned about several ocean animal adaptations and got to act them out in a role play to see how they are useful. Our habitats theme was very engaging as well. Students learned about several habitats and where they are located around the world! We discussed their climates, wildlife, plants, and much more! 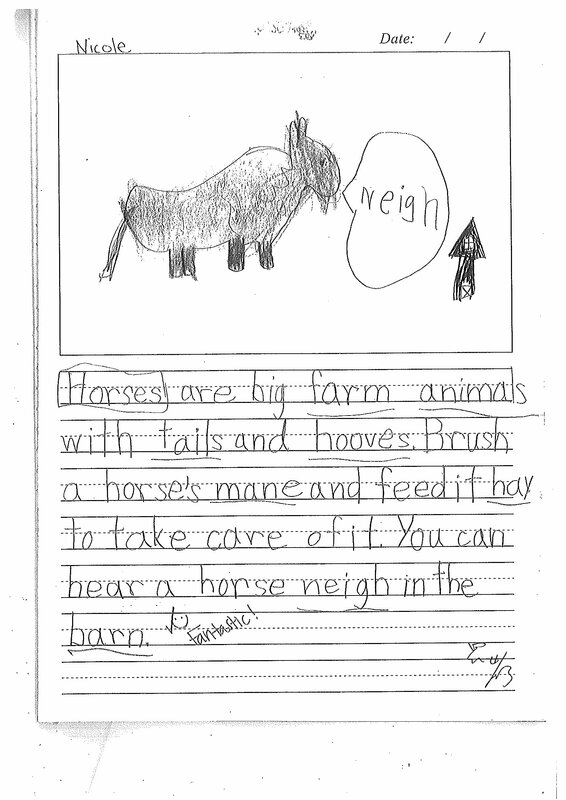 We also focused on farm animals this month. They learned how to care for farm animals, their different body parts, and the products and resources we can get from them. In science, students took a look at how feathers and scales react to water and constructed habitat dioramas. Students also learned about underwater breathing and went snorkeling in our very own classroom! They used straws and goggles to see and breathe underwater to see what kind of treasures they could find. We even used cream and a lot of hard shaking to make our own butter in class! Students have become more collaborative in their journal writing process. They have been attempting to come up with the entire journal as a class by speaking in complete sentences about their knowledge of our weekly themes. 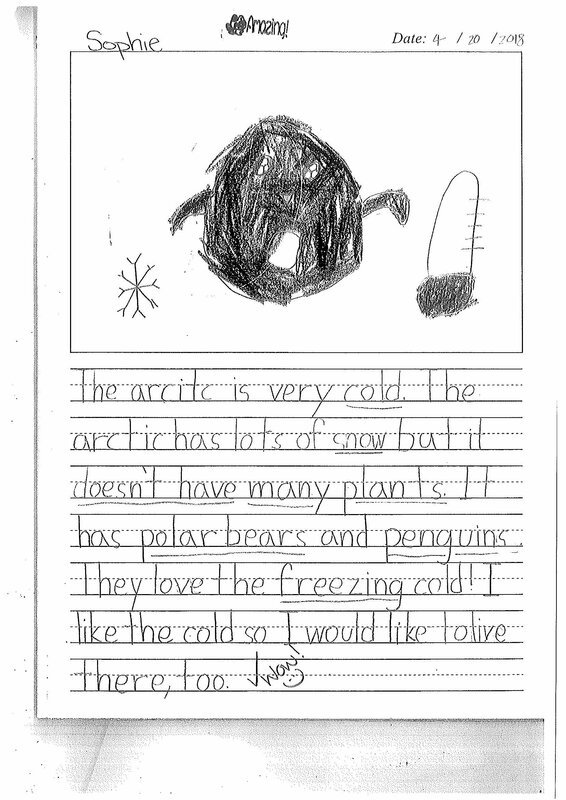 Student ideas are then copied into their journals. Students are continuing to practice writing their letters neatly and focus on making them in the correct formation and size in both journal class and phonics. In phonics, we have also been working on the short e vowel sound and the letter m. We have continued to work through our Songbirds books this month to focus on phonics, reading aloud, and reading comprehension. During our weekly role plays, we explored the movie theater, the beach, and the zoo. Students practiced selection and preference vocabulary for choosing a movie, snacks, and seats at the theater. They also worked on how to use good manners! We went over many of the fun activities that people do at beaches. Students used critical thinking to connect activities that they wanted to do with preparations and supplies they would need to bring to the beach. Finally, students learned about zoos’ responsibility to keep animals happy, healthy, and active. They talked through keeping the animal enclosures as close to their natural habitats as possible. I am very excited for Level 2A to continue to learn and grow in our classroom in May!